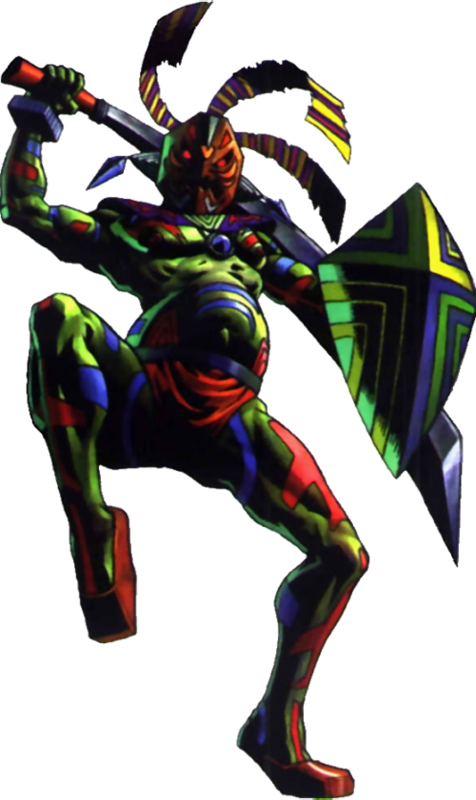 Odolwa – “The Masked Jungle Warrior” is the boss of the first Dungeon in Zelda: Majora’s Mask, the Woodfall Temple. He imprisoned one of the four giants as well as the Deku Princess and is a giant compared to Link in size. During the battle, Link has to care about his distance to Odolwa and needs to avoid the summoned insects and also falling rocks as well. 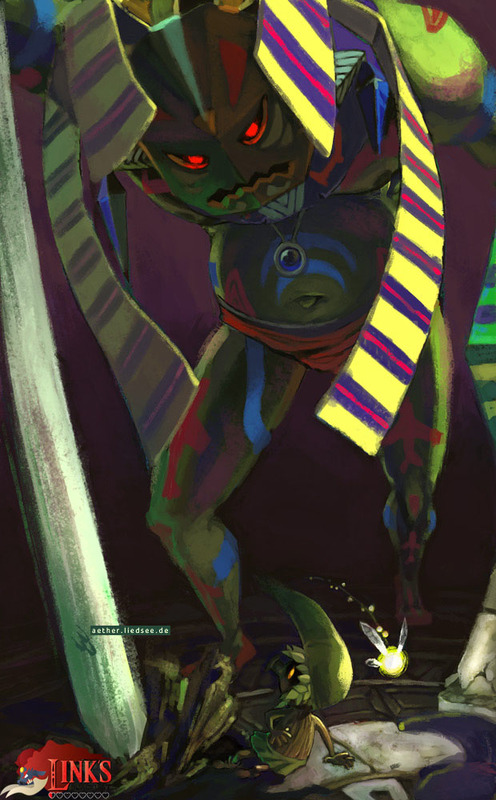 Our first illustration of Odolwa in Link’s Blacklist is one of the few not directly drawn for it artworks. When i saw it on deviantARt where it was published by the German artist hadece i just had to request it for our project!